A Wheelbarrow Full of Style: Marisota Pop Up Shop Tour & Competition! Marisota Pop Up Shop Tour & Competition! Tomorrow see's the launch of Marisota's Pop Up Shops. 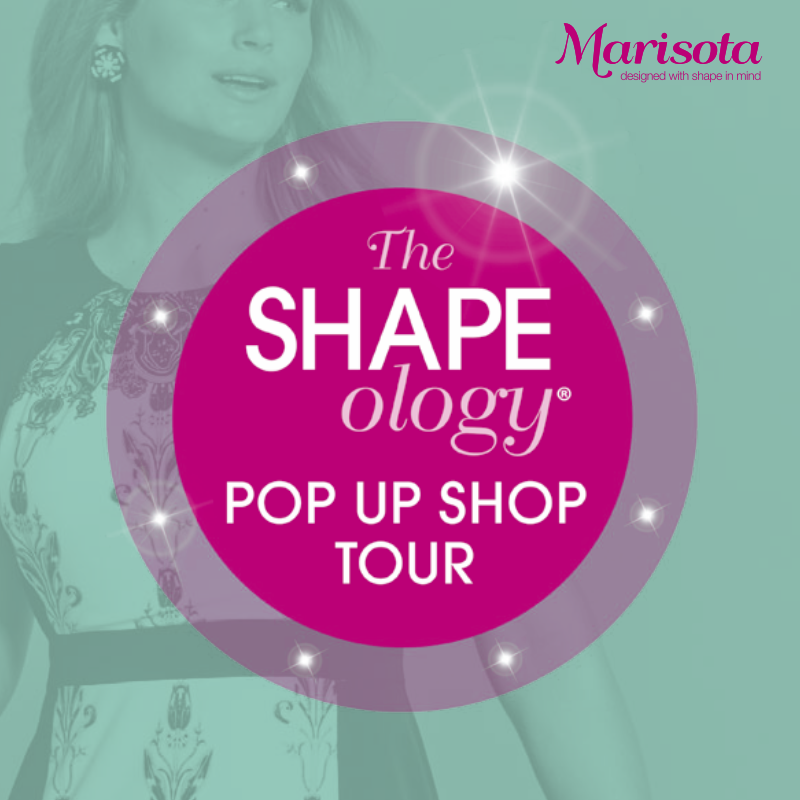 The Shapeology Pop Up Shop tour launches in London (56 Wells Street, W1T 3PT) 13-16 March, before going on to Glasgow (Buchanan Galleries, 220 Buchanan Street, G1 2FF) 20-23 March, Bristol (23 Penn Street, Cabot Circus, BS1 3AU) 25-30 March and Manchester (Arndale Centre) 3-6 April. The stores have been designed to give existing and new customers the opportunity to learn more about Marisota’s Shapeology concept and see it in action. TV super-stylist Mark Heyes and his team of specially trained Shapeologists will be on hand at each location offering one to one ‘Shapeovers’. With ‘magic mirrors’ enabling them to capture their new look and share it instantly with their friends via Facebook, Twitter and Email. They will also be able to print out a copy to take away with them. Each of the pop ups will feature a selection of fashions in sizes 12-32 as well as key accessories, swimwear and shapewear. Customers will be able to order items featured at the events in-store and will be given a special 20% discount AND free home delivery. Marisota have also given me the chance to run a competition offering 5 lucky winners a VIP Marisota experience. The winners would need to be available to attend the event in central London on either Friday 14th, Saturday 15th or Sunday 16th March. They will be booked in for a Shapeover from our team of Shapology experts (led by TV stylist Mark Heyes). The sessions are: 10am-12pm, 12pm-2pm, 2pm-4pm or 4pm-6pm. As an added bonus, the 5 VIP winners will also go into a prize draw to win £500 worth of vouchers to spend at www.marisota.co.uk. All you have to do to enter is email competitions@marisota.co.uk with the title of my blog, awheelbarrowfullofstyle and a contact telephone number to be entered.